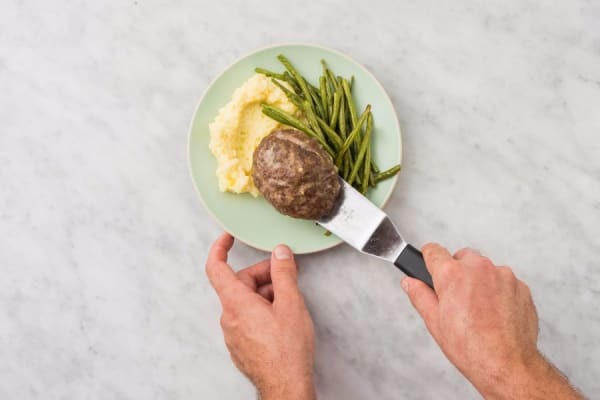 Spiked with aromatic basil, these mini meatloaves are what happens when an American classic spends a semester abroad in Rome. Their piccolo size doesn’t just make them adorable; it allows them to cook quickly, too. Even the mashed potatoes on the side, fragrant with garlic, sneak in a little European flair. Wash and dry all produce. Adjust rack to middle position and preheat oven to 400 degrees. Halve, peel, and mince shallot. 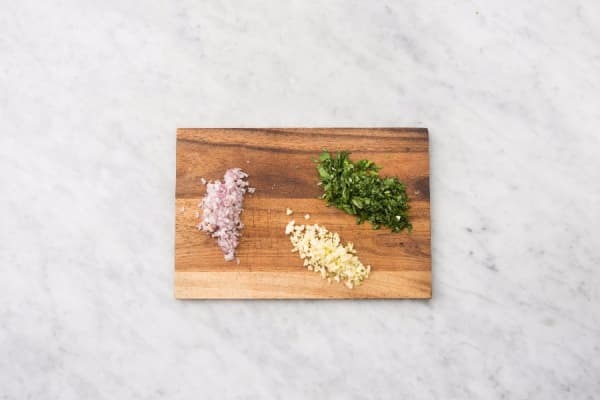 Mince or grate garlic. Pick basil leaves from stems; discard stems. Finely chop leaves. Soak bread with stock concentrates and ½ cup milk in a large bowl (we’ll use more of the milk later). Break up with hands until pasty. 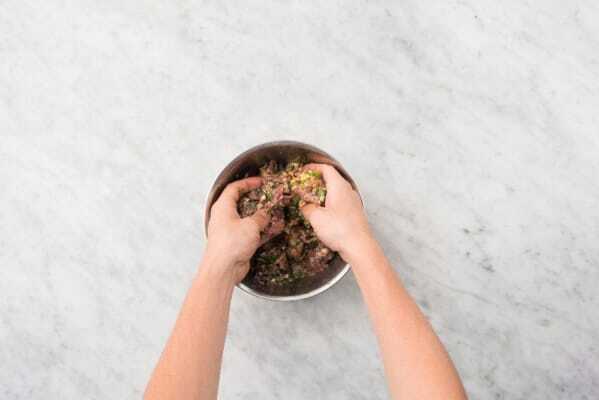 Add beef, shallot, basil, half the garlic, and a large pinch of salt and pepper. Mix until just combined. Form into four 1-inch thick loaves. Place on a lightly oiled baking sheet. Bake in oven until cooked through, 20-25 minutes. Meanwhile, peel potatoes, then cut into ½-inch cubes. Place potatoes and a large pinch of salt in a medium pot. Add enough water to cover by 1 inch, then bring to a boil. Reduce to a simmer and cook until potatoes are easily pierced by a knife, about 12 minutes. Drain. 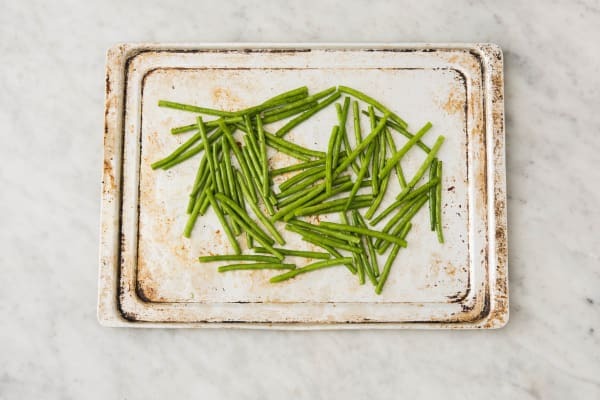 Toss green beans with a large drizzle of olive oil and a pinch of salt and pepper on another baking sheet. Roast in oven until green beans are tender, about 15 minutes. TIP: If there’s room on the sheet with the meatloaves, you can add the green beans to the same sheet 15 minutes before the loaves are done baking. Heat 2 TBSP butter and remaining garlic in pot used for potatoes. Melt and cook until fragrant, about 30 seconds. Add potatoes, sour cream, and ¼ cup milk (you’ll have a little milk left over). 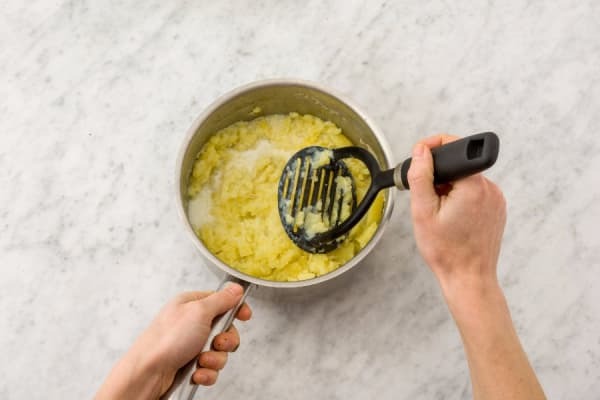 Mash with a potato masher or fork until smooth. Season with salt and pepper. 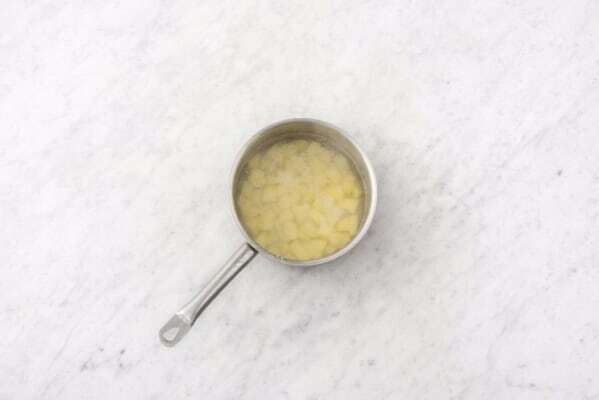 TIP: Add more milk if needed to give potatoes a creamy consistency. Divide mashed potatoes between plates. 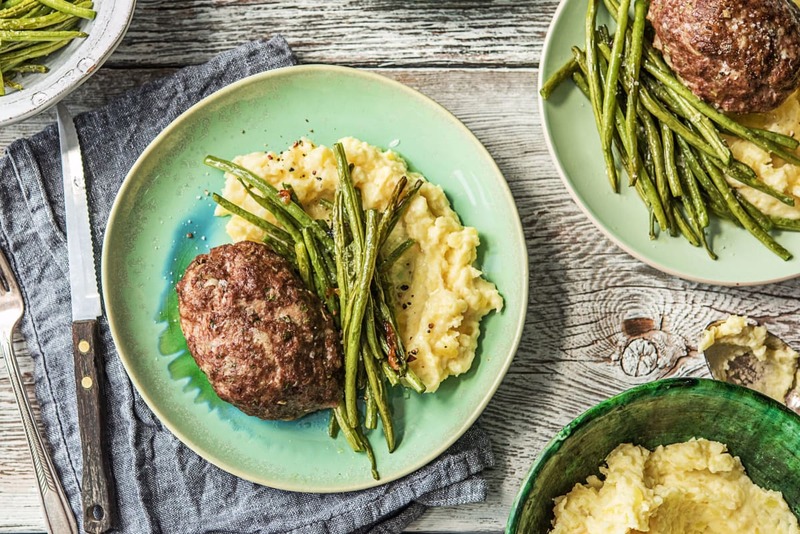 Top with meatloaves and serve with green beans to the side.